The AnatomistsWho bought the bodies? And why? Position the mouse over map features to see their labels. 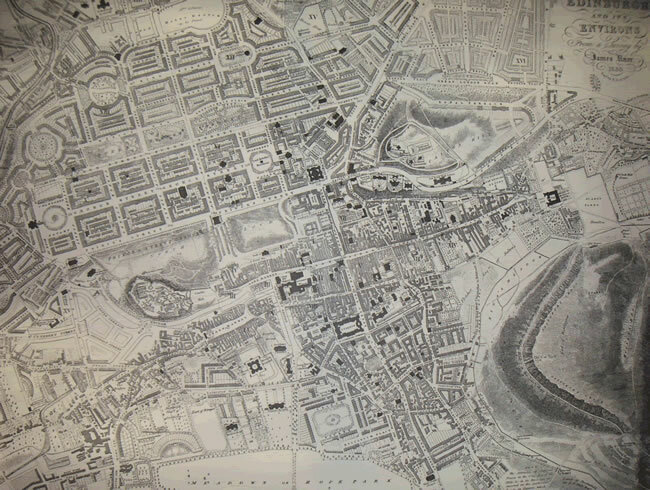 This map shows Edinburgh in 1830, with the original medieval city, known as the Old Town, in the south, and the elegant Georgian squares and crescents of the New Town to the north. Thomas Shepherd's Modern Athens, published in 1829, compared the original High Street of the Old Town to "the backbone of a herring," Edinburgh Castle to the west "forming its head, Holyrood House (Palace) its tail, and the numerous narrow lanes, or wynds as here called, diverging from either side, its ribs." 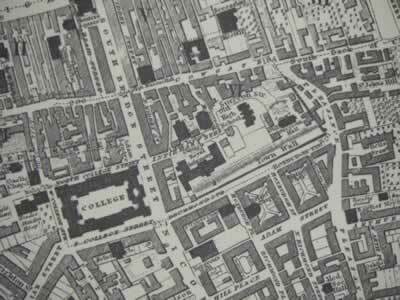 The High Street was on a ridge, with the wynds leading down its sides to the lower town. The main road through this lower town was the Cowgate, leading to the Grassmarket and the West Port. The Grassmarket was the main agricultural and livestock market. The West Port, short for Wester Portsburgh, had, like the Canongate, once been a suburb. By the 1820s it had become the Irish immigrant district, because of its proximity to the Glasgow Road leading west, and Port Hopetoun, the terminus of the Union Canal. 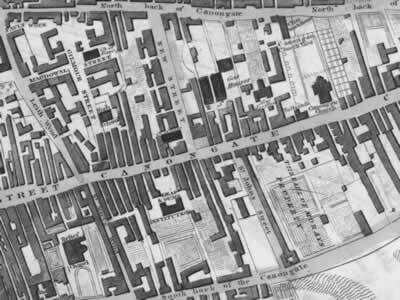 To the south, and uphill from the Cowgate, stood Edinburgh University and the medical district, which included the Royal Infirmary, Surgeon's Hall, and Surgeon's Square. The University was located on South Bridge, part of a series of civic improvements to facilitate movement from residential suburbs in the south to the High Street and the New Town. The effect was to raise the "genteel" parts of the city up on stilts, leaving the industrial districts, the trades, and the agricultural workers below. 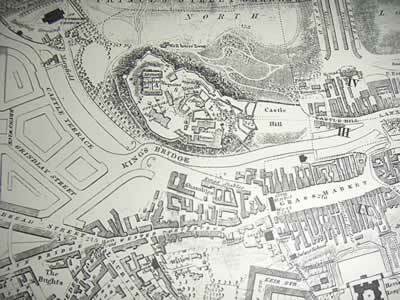 Between the High Street and Holyrood Palace was the Canongate, once a medieval suburb but by 1828 the poorest and most heavily industrialized section of the city. One of the city jails was housed in the old Canongate Tollbooth. Nearby stood the Magdalene Asylum, a kind of reform school for penitent prostitutes, and the Charity Workhouse.